All 7 Major Parts are here! 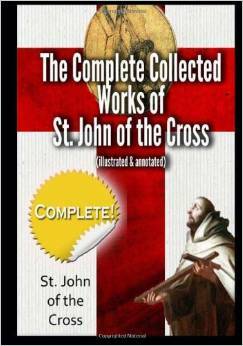 Comprised of 7 parts - The Ascent of Mt Carmel, The Dark Night of the Soul, Instructs & Cautions, Spiritual Maxims incl. Advice to a Religious, Letters, Poems & The Living Flame of Love. Together St. John of the Cross aka Fray John and St Teresa of Avila founded the Discalced Carmelites.